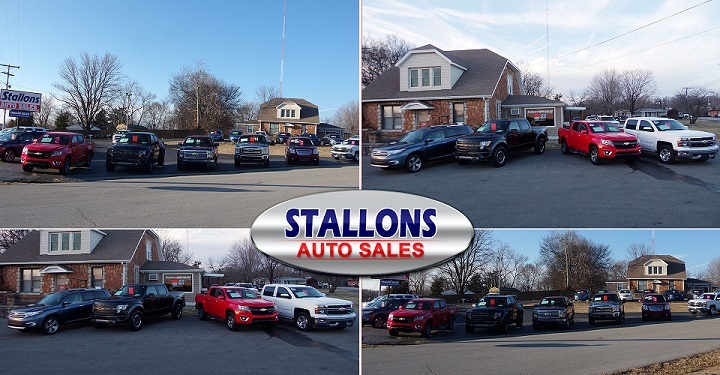 There are several auto dealers in western Kentucky, but Stallons Auto Sales rises to the top when it comes to used auto sales that you can trust. We have built our reputation in Western Kentucky with over 80 years worth of experience selling used cars, trucks, and SUVs to happy customers. Whether you are looking for a compact car or a super duty truck, Stallons Auto Sales can find what you need at a price you can afford. The Stallons family has been in the auto business for multiple generations and been voted as the Best of Western Kentucky when it comes to Used Car Sales in 2015, 2016, 2017, and we are currently nominated for 2018's Best of Western Kentucky in the categories of Car Dealer - Used and Lance Stallons is nominated for Best Car Salesperson (as of 2/7/19). Our devoted customers have given us a 5 Star average rating on Facebook, Google, CarGurus, and Cars.com. We treat our customers like family and make sure you drive out with a smile on your face. We are always searching for the right cars for our inventory. If you are looking for something in particular, we will find it. We keep many popular trucks, SUVs, sedans, and coupes in stock, but they sell quickly because we offer great service and highly competitive prices. No other dealer cares for their customers the way we do. Let us find your next vehicle at Stallons Auto Sales. At Stallons Auto Sales, we know that Western Kentucky doesn't need another auto dealer, but rather a different kind of dealer that offers a pleasurable car buying experience. We have become known as the Best Used Car Dealer in Western Kentucky and we don't plan on stopping anytime soon. Visit us today and let us find your next vehicle!